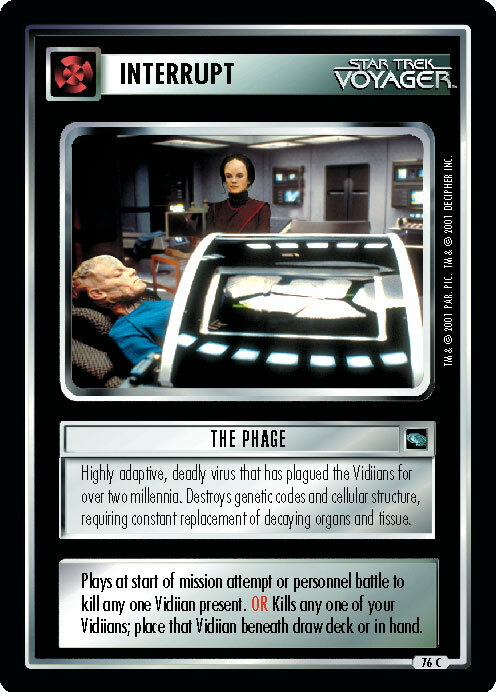 Highly adaptive, deadly virus that has plagued the Vidiians for over two millennia. Destroys genetic codes and cellular structure, requiring constant replacement of decaying organs and tissue. 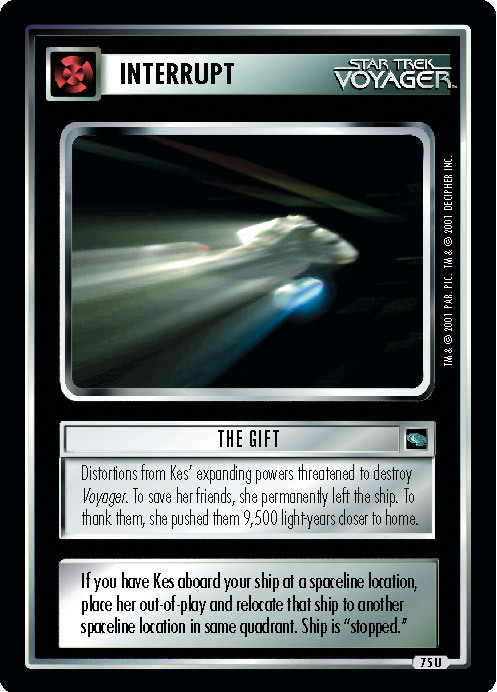 Plays at start of mission attempt or personnel battle to kill any one Vidiian present. 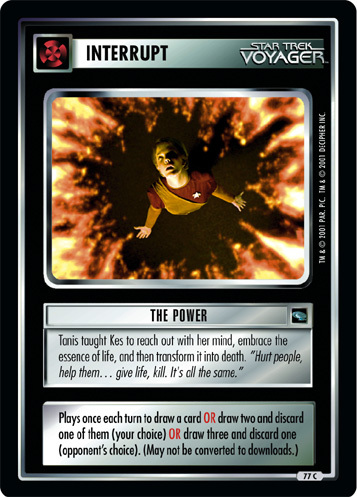 OR Kills any one of your Vidiians; place that Vidiian beneath draw deck or in hand.